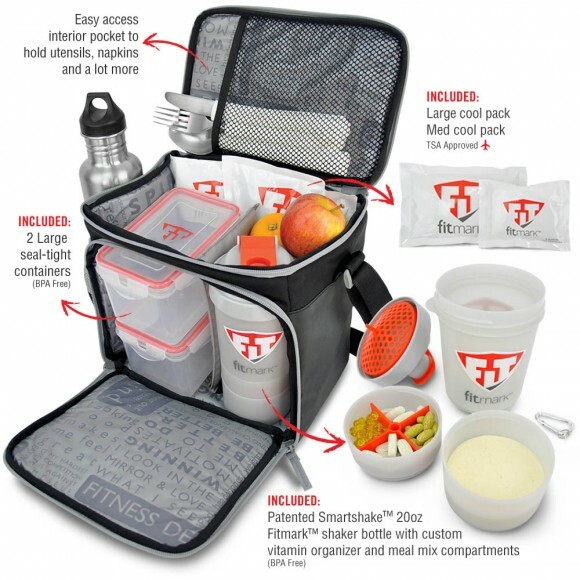 Manage your meals like you manage your life: efficient, organized, and smart. 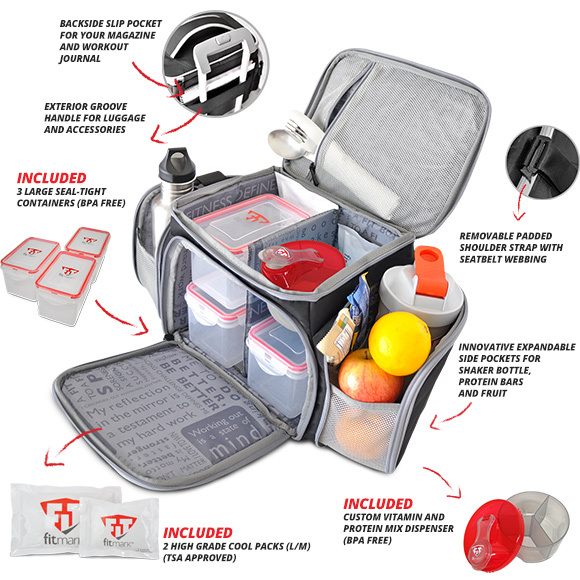 Introducing the Core: a revolutionary food organizer that fits into your busy life. 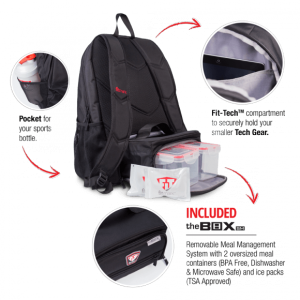 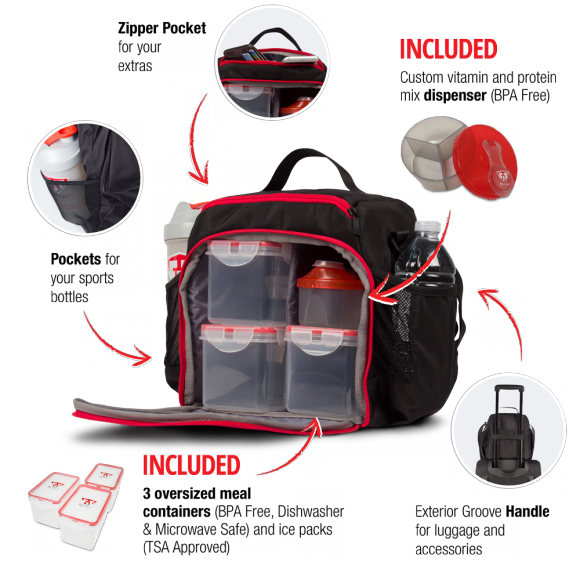 It’s lightweight, portable, with tough nylon and a heavy-duty strap. 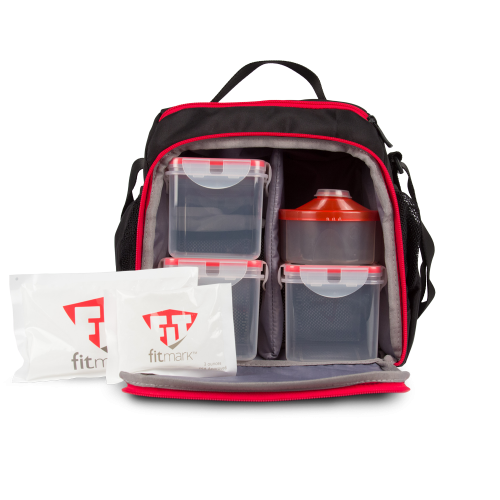 Easily organize your meals with 3 large 32oz seal-tight containers (included), 2 ice packs (one that is TSA approved) (included), and a custom vitamin and protein mix organizer (included). 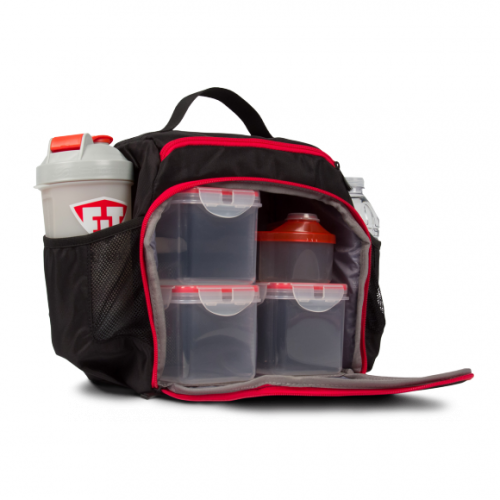 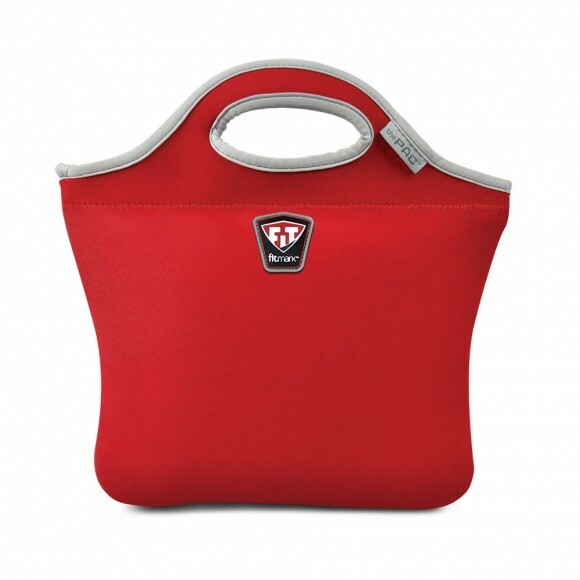 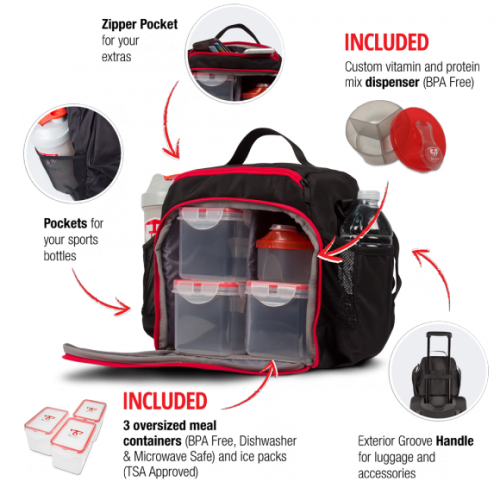 There are exterior sleeves for your sports bottle, and a zipper pocket for your keys, wallet and cell phone. There is a slip pocket in the back for your workout journal as well as a loop to place over a luggage handle. 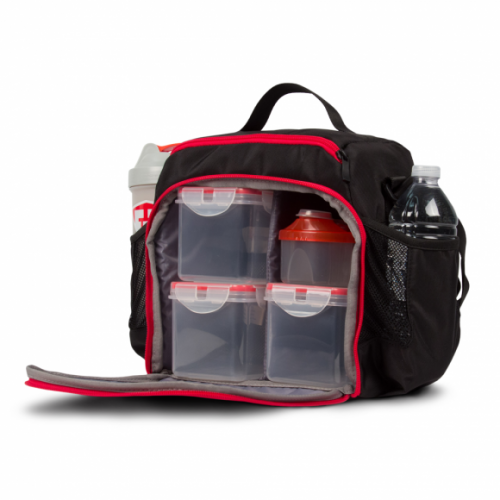 It even has a swivel-action center divider that pivots inside for maximum organization. The Core makes it simple to go to work, hit the gym and still have a healthy meal eight hours later.